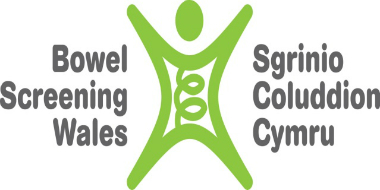 Bowel Screening Wales was launched in October 2008 and aims to reduce the number of people dying from bowel cancer in Wales by 15% by 2020 in the group of people invited for screening. To achieve this aim, the bowel screening programme must identify cancer early when treatment is more successful and also identify and remove polyps that may otherwise go on to become cancerous. In the year 2015/16, Bowel Screening Wales diagnosed 205 people with cancers and detected and removed polyps in 1,149 participants. The proportion of colorectal cancers diagnosed by screening in Wales is 12% compared to an overall average for England and Wales of 10%. There are indications that the rate of emergency admissions for colorectal cancer has reduced in Wales since the bowel screening programme was implemented and this is currently being evaluated further. Men and women aged 60 to 74 years are invited every two years. Invitation is based on date of birth, not geographical location, and comprises a letter from the Director of Screening Division and an information pack which contains the test kit. The initial test kit is a Guaiac Faecal Occult Blood (FOBt) test kit which is sent to eligible people by post for completion at home and returned to the central screening laboratory by post in the prepaid envelope provided. People with negative FOBt results are invited again for screening two years later, if they remain in the eligible age range. Those with unclear results are sent a more sensitive FOBt called a faecal immunochemical test (FIT) to complete. Participants with positive results are invited for telephone assessment with Specialist Screening Practitioners (SSP) based in Local Assessment Centres who assess their fitness for colonoscopy (a test to examine the inside of the bowel). Most assessments are undertaken by telephone, but face to face appointments are available at request or if considered necessary by the SSP. If considered fit, colonoscopy is offered to the participant and, if accepted, this is undertaken in the participant’s Local Assessment Centre. Depending on the findings after assessment, participants are invited to screening again in two years’ time, put onto a surveillance programme according to the number and size of polyps identified and removed, or referred to the multi disciplinary team with a diagnosis of cancer. Uptake and colonoscopy waiting times are the greatest challenges for the bowel screening programme in Wales and the Bowel Screening Wales team are working to drive improvements in these areas. We are working collaboratively with health boards to improve capacity for colonoscopy and with primary care clusters and others to identify interventions to improve uptake. The current bowel screening programme uses a test that is becoming obsolete and is being replaced internationally with a quantitative Faecal Immunochemical Test (FIT), which is specific for human haemoglobin, automated and relies on a determined measurement of haemoglobin in faeces. The new test is also easier to use resulting in increased uptake. Bowel Screening Wales has been asked by the Welsh Government to implement first line FIT by the end of 2018 and a project team has been established to take this forward.